For years I have loved to make unique flavored water. 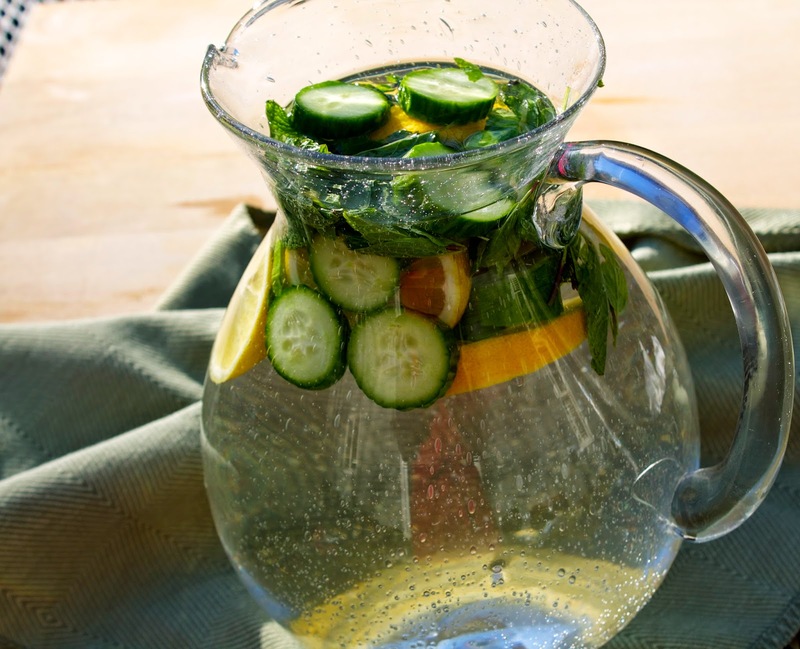 Flavored water serves as a great way to use up random ingredients in your fridge or garden! I also really love making a big pitcher of water and leaving it in my fridge or even making individual servings and bring them to school or work! and so many more...have fun with experimenting with different fresh herbs, fruits and veggies! Staying hydrated is so important and more and more studies show how important water is. Infusing water is a fun way to drink more water. It is also much healthier and cheaper to make your own flavored water then to buy it.